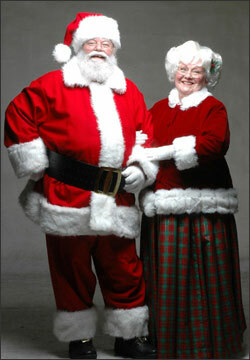 Santa Claus and Mrs. Claus wife have been absolutely thrilled and delighted to spend time with so many wonderful families and friends throughout the holiday season. Here are a few letters they have received about their visits. Thank you so much for the wonderful letter and beautiful picture you sent to my daughter. She was so excited and couldn’t believe that you sent her your picture. You really made her Christmas extra special. Please continue your great work. God bless you.